Magen David Adom (MDA) is Israel’s ambulance, blood-services, and disaster-relief organization, serving as emergency medical first responders for the state’s 8 million people. MDA is the only organization mandated by the Israeli government to serve in this role, but it’s not a government agency, so it relies on people like you for funding. American Friends of Magen David Adom (AFMDA) is the largest supporter of MDA worldwide. Through your gift, you're saving thousands of Israeli lives. Every Swag Buck donated equals $0.01, so donating 1,000 Swag Bucks is equivalent to donating ten dollars. 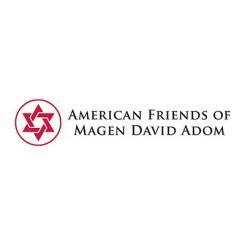 For more information about American Friends of Magen David Adom and how you can help, please visit www.afmda.org.